Experience Ward Villages latest LEED-certified property located in the dynamic community of Ward Village. 'A'ali'i Designed by SCB architects is simply a joy to come home to. 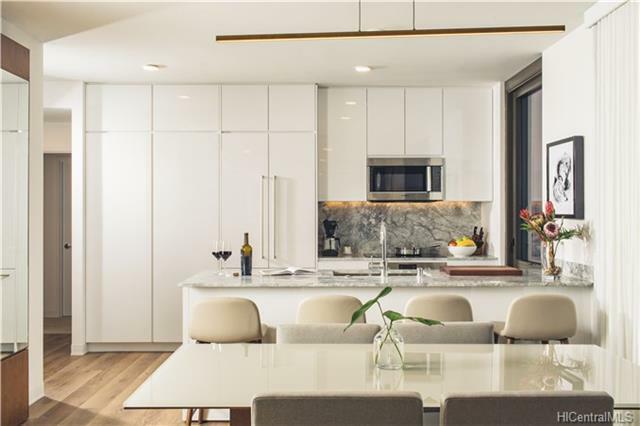 Unit 204, a 2 bedroom/2 bath 1 parking corner home with Lanai embodies creative, contemporary, and elegant, finishes, cutting-edge Bosch appliances and amazing ocean views. 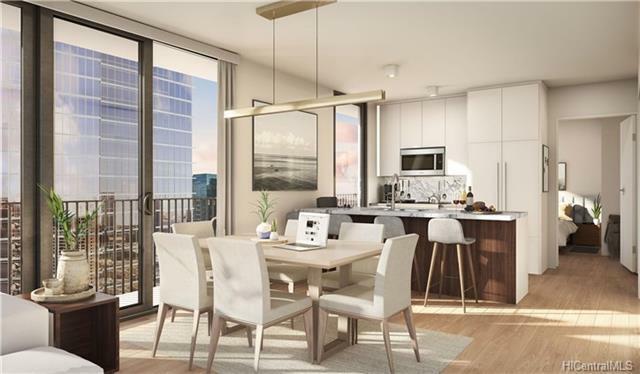 Penthouse level amenities provide Lanai 42, a full-floor oasis for relaxing and socializing with gorgeous 360 views of land and sea and a state of the art Fitness center. Located in the center of Ward Village, 'A'ali'i provides immediate access to a vibrant, planned Central Plaza, world-renowned restaurants, unique local retailers, state-of-the-art movie theaters, a flagship Whole Foods Market, and free community events.